Steve Harper has accused the PFA of failing players who have hung up their boots or are about to retire. 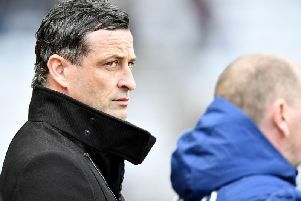 The Professional Footballers' Association has strongly defended itself after Sunderland goalkeeper Steve Harper accused the union of failing players at the end of their career. After 20 years at Newcastle, the 40-year-old last month agreed a short-term deal with bitter rivals Sunderland - a move borne out of a desire to get back into a better mental state after being left without a club. Harper revealed he could feel depression creeping in as the playing offers dried up after leaving Hull in the summer. He believes the PFA could have done more to help him and, by his own admission, "tore into" the organisation at a recent dinner. He told the Daily Telegraph: "I said: 'You do a lot of fantastic work for players when they are playing, but too many people of my age, or a year or two older, are either getting divorced, going bankrupt or struggle with depression'. "They have been in touch with me since and told me about the courses they do, but I was PFA rep, and if I don't know about them, more needs to be done to support players in that transition." But Pat Lally, the PFA's director of education, said: "I know Steve was probably a bit emotional, but it doesn't tell the whole story. It's disappointing for me when there is so much information out there. "Steve would have received our magazine, '4 The Player', and if he'd read that he would have seen exactly what the PFA provide. It's posted out to every player's home address. "We've got quite a substantive website as well, which is open to all our members - all they need to do is log in and the information's there. "Steve would have been invited to all our AGMs, at those we hold workshops where the heads of every department talk to PFA representatives about what's available to players. "We run a transition programme called Take Control that we text at the end of every year to those members who are being released. "There's a confidential helpline accessible through our website, or they can even just call the office and say 'can someone come and see me?'." Harper had also claimed: "It needs to be addressed at 17 or 18. Even if you are lucky enough to do this for the next 15 years, you'll live for another 50 years, probably, and what are you going to do next?" But Lally said: "From the age of 16, as soon as they sign as an apprentice, they have to do a recognised two-year educational programme along with a number of additional programmes - drugs awareness, financial awareness, safeguarding, child protection, driving awareness, bereavement programmes. "They're also put through a re-sit of GCSEs in maths and English so by the age of 18, they've got good academic qualifications so if they don't make it in the game, they can move on to further education. "The PFA provides grants for anybody over 18 - the oldest member we've funded in the last 12 months was 72 - to undertake qualifications, whether it be educational, vocational, whatever they think will assist them in a transition to another career." PFA deputy chief executive Bobby Barnes was also keen to highlight the assistance the union offers its members. "I genuinely believe we provide a service," he told Press Association Sport. "People may well fall through the cracks - I am not saying we are perfect and we will always strive to do more. "But I can honestly say there has never been a player that has picked up the phone to the PFA and asked for assistance who hasn't received it. It is a little bit unfair to label us that we fail players." Barnes sympathises with Harper and other players in a similar predicament, saying he was in the same boat when his playing career came to an end. "When I retired at 33, I'd never been to a doctor's surgery in my life," the former West Ham winger said. "As a footballer, a doctor is brought to you if you need one. "All of a sudden you go to a surgery and you sit and wonder why you're not being brought to the top of the queue. Then you realise, actually, I was supposed to go to the desk at the front to tell them I am here. "I certainly take on board Steve's views but I'd like to think that for every Steve Harper story there are a lot of other players (we help). "We get lots of letters every week with stories of players that have gone into new professions. We've had people graduate and become lawyers, physiotherapists through our education departments."